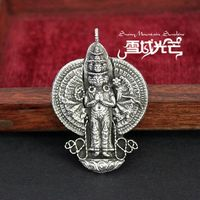 Handmade Silver Thousand-Hand Kuan-yin Buddha Statue Amulet Pendant. 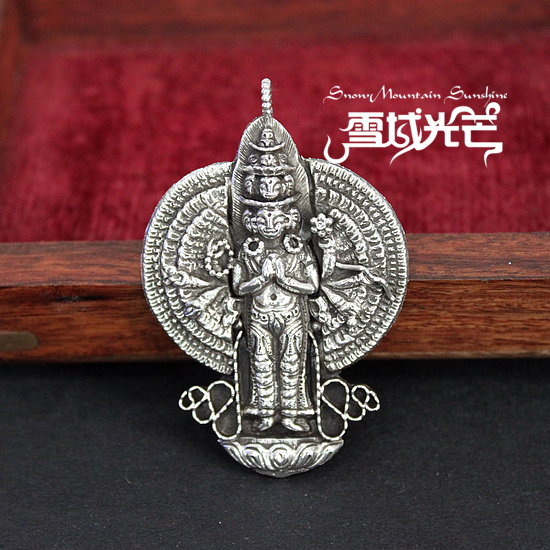 This Kuan-yin buddha statue pendant was handmade from sterling silverin Nepal. 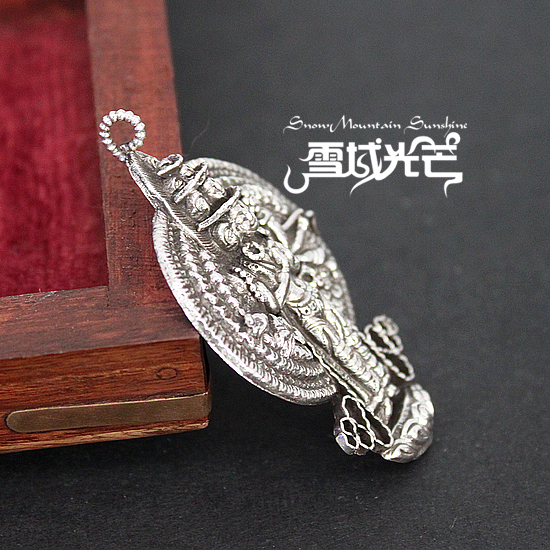 Size: 64.5mm*43mm*7mm. 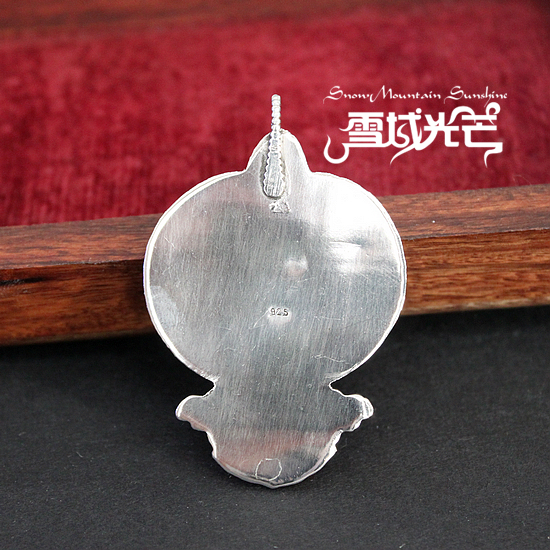 Weight is around 13.5g.